I Updated My Book Blog and Etc. You may recall I worked in Mexico City in the summer of 2006 (see, it says so up there under the blog title.) While we only had one day off a week, the free day was spent doing some light sightseeing. Usually with Paddy I'd go to nearby places on foot or by taxi. When Kurt came to visit we paid Jesus to drive us to Teotihuacan and spent the day at the pyramids. But not until Debra came to visit did I ride the subway. I actually had two days off in a row! We rode the subway one day to Coyoacan and the next day to Xochimilco to spend time in a crazy colorful boat, floating past gardens and other boats. Riding the trains out there was great fun. The system is a snap to learn and gets you all over the city (which is HUGE). It's very crowded and can be very warm with all those people. But you will always find something to buy on your trip to wherever you are going: Band-aids, razors, nail clippers, cds with music mixes (bootlegged? No, couldn't be...), coloring books and crayons, candy, gum, and many more things I can't recall off the top of my head. We wondered what kind of living you could make selling on the subway. On my last weekend there, I went out to La Villa on the subway and sat next to a high school age girl who looked at me funny and asked if I was a tourist. I told her I was working there but that on this day, yes, I was a tourist going to the cathedrals. She asked me what work I was doing and I said I was working on a movie. She got very excited about that. Then her stop came and she got off with a big smile and wave. I didn't take the subway back from La Villa as I was wiped out. I found a taxi instead. The other thing I love about the subway there are the graphics for the whole system. Each station has a name (obviously) an individual graphic that goes with it. This is what you see for the stop at Camarones on line 7, or this for Velodromo on line 9, or this for Martin Carrera on line 4 and 6. My favorite was this cool dude who graced my nearest stop, Chapultepec, on line 1. 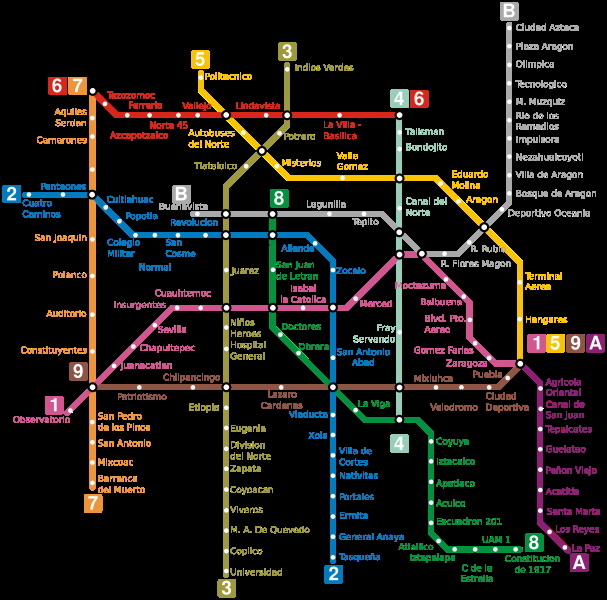 I don't think anyone beats Mexico for these great metro graphics. In the fall of 2006 I went to London for three weeks to finish out my work from Mexico City. I hadn't been to London in ten years and was excited to be there to work, not just be a tourist. The company put me up in a hotel in Clerkenwell and the office was in Soho. I certainly couldn't afford taxi's every day, even with per diem, so I consulted friends at work about best tube routes and they mostly said not to take the tube as it is so crowded and hot and slow. I was surprised and tested this theory my first day and sure enough, it was crowded and hot and slow. So I then learned the bus system and bought an Oyster card and rode the bus back and forth every day. Route/bus #19 was my favorite as it was always a double decker and I liked to go upstairs and watch the city go by. The #38 would get me there too but it was usually a bendy bus and a bit more crowded. I got on the bus at Rosebery Ave, after a short walk from my hotel (The Zetter, a very hip hotel with annoying showers). I would de-bus on Shaftesbury Ave, right in front of the office I worked in. Nice! I liked having a walk (well, not every day) from bus to hotel in the evening to unwind and have some fresh air. I realize there are so many more busses and bus stops than there are subway cars and stops, but I wish the route maps had a bit more specific info on where busses actually stop. It's never a huge problem as you can always get off a block or two away if you missed your stop or guessed wrong as to where you were. I like maps. I like specificity. I liked the London busses. And I especially like the very handy Oyster card which you merely swiped on the pad as you entered the bus. You can refill it online so you are never out of bus or tube fair. Roma Roma Roma! Bella Roma! Oh I love Rome. It's my favorite European city. The food, the history, the wine, the well dressed people. The subway system is not extensive. I believe it would be grander if construction weren't stopped every few feet by some archeological find. It is the eternal city, after all. There's got to be quite a bit of stuff buried there after 2700 years. The few times I've taken the subway while there, it was usually to get to some sight early in the morning to spend the day there, then when you are weary from all that art in the Vatican or from climbing the stairs to the top in St. Peter's or crawling all over the Coliseum and the Forum, you hop back on to your hotel. There is something just amazing and cool to getting on a subway, getting off at a stop called "Colosseo" and then you exit the subway and there it is. THE Coliseum. But walking is mostly what you do in Rome, to breath in the life pulsing through the streets and the people. To look at storefronts and have Vespas fly past and find that perfect little place to eat when you need a break or to have that third cup of gelato on a hot (or cold, who really cares) day. So while I've spent more time on other subways, I love Rome so much, I had to put it in the top five. "Aristotle was not Belgian, the principle of Buddhism is not "every man for himself", and the London Underground is not a political movement. Those are all mistakes, Otto. I looked them up!" But nevermind all that money stuff. As a tourist, the Tube is fun, gets you to all the sights you want to see from churches to castles to parks to shopping and nightlife. I love the older stops with only two tracks and two platforms. The tube shape is most obvious in those and usually the tile is gorgeous. I also love the deep stops where you go down an escalator that seems to go on for a mile and can make you dizzy. There are vending machines that sell good snacks (most chocolate bars are much better in London than in the US.) and drinks. And UNLIKE Los Angeles, you can eat while you ride. When I first went to London in 1989, my friend John was our defacto London guide as he had had a study abroad semester there a year or two before. He knew the tube like the back of his hand so we just followed him at every station. This was the first time I'd ever used public transportation on a daily basis so it was almost frustrating not being able to learn it as John whisked us to the proper platform. Those were also the days when there seemed to be much more dirt and filth in the air in tube stations. With the approaching train would come a cloud of victorian soot and coal dust to settle on your skin and in your nose, making your end of the day ablutions quite shocking with all that black coming off and out of you. I didn't notice quite so much dirt this last time. That first trip to London and Europe holds a special place in my heart. The four of us had so much fun. Then there was the infamous evening of a few too many pints and we were riding the tube back to our hostel and we had to get out at High Street Kensington. The train stopped and the sign in the station reads "Hi St. Kensington" which I looked at and in my pint induced confusion said "Hi (as in hello) Saint Kensington?" John burst out laughing and for the rest of the trip we would greet each other with "Hi Saint Kensington! Good morning Saint Kensington!" 21 was a fun age. The London Underground is a classic and will always beckon. It was a tough decision about which would be first, though the top two contenders were never in doubt. 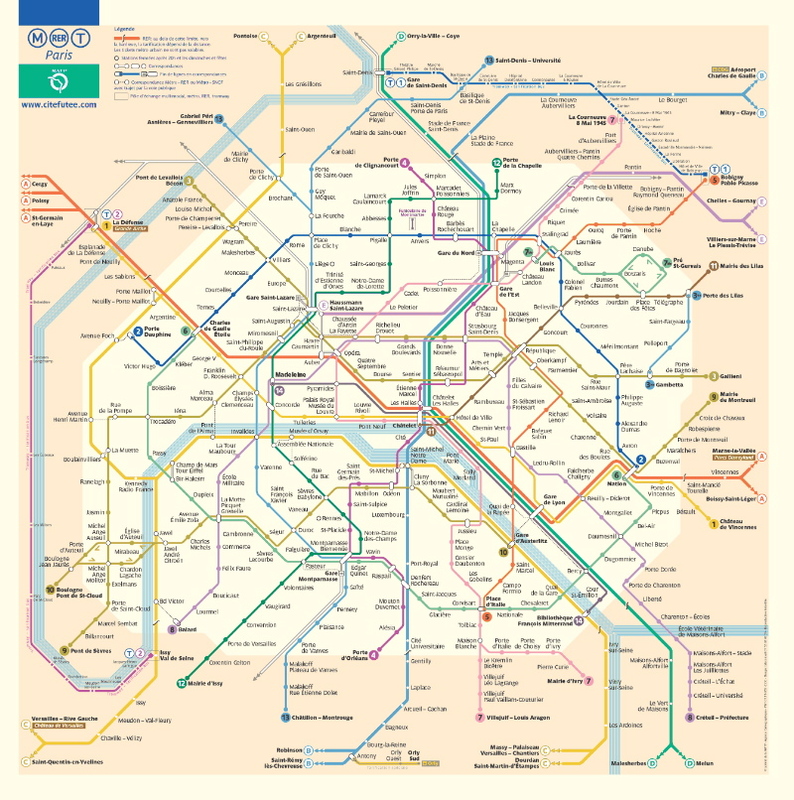 I love the Tube, but I have a much closer relationship with the Metro, and I don't even speak French. After London in 1989 we headed to Paris and there again rode the metro. We were all new to it, so we all learned how to use it and raced around seeing sights and enjoying it all until the day when there was some kind of chemical leak or someone set off tear gas in one station and we all bolted for exits, coughing and crying. Strange. We had no idea what happened and neither did the other locals standing around looking at each other, then going about their business. When I returned on my own in 1992, I used Paris as my base city and would stay for a few days or a week, then go to Spain or Italy, then return for another week or so. I used the Metro a lot, but when you travel alone (and are not in a hurry) the days can get pretty long. So one day I decided to walk to my daily destination, no matter where that might be. I got to see parts of the city up close and personal and enjoyed those details a lot. My favorite moment was walking past a large fancy wedding dress shop early one morning. There was hardly anyone on the streets and I looked into the window and at the back of the shop was a young woman in a wedding dress with her mother and the store owner or salesperson. This looked like a final fitting perhaps. As I watched, the young woman caught my eye and smiled and shrugged. I smiled back, then moved on. 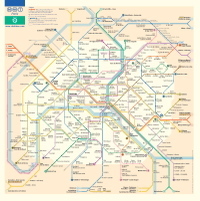 Navigating the Metro is easy. You find your destination, determine the line number it is on (1-14), then follow that line to its final destination so you know which direction to in the station. Since I don't speak French, I would remember the direction by making up a horrible pronunciation of the last stop. If I were taking line 5 toward Bobigny, I would say "Bo-Big-Nee" in my mind. 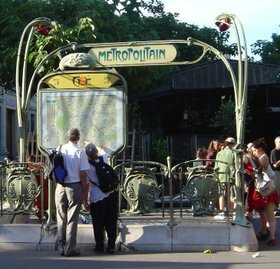 Or the #8 toward Créteil Préfecture would be "Perfect Creatures". Helpful? Yes. Classy? No. But it's all in my mind so it's not so bad. 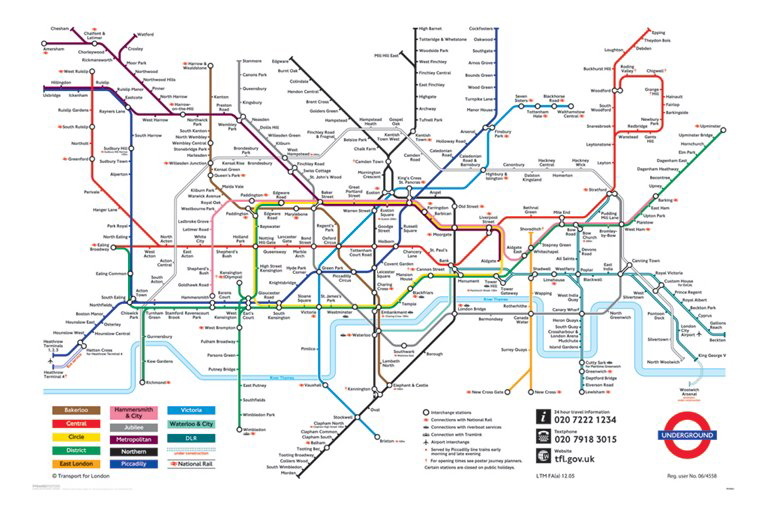 And it works like a charm and makes me feel slightly less like a tourist having to refer to a map from time to time. 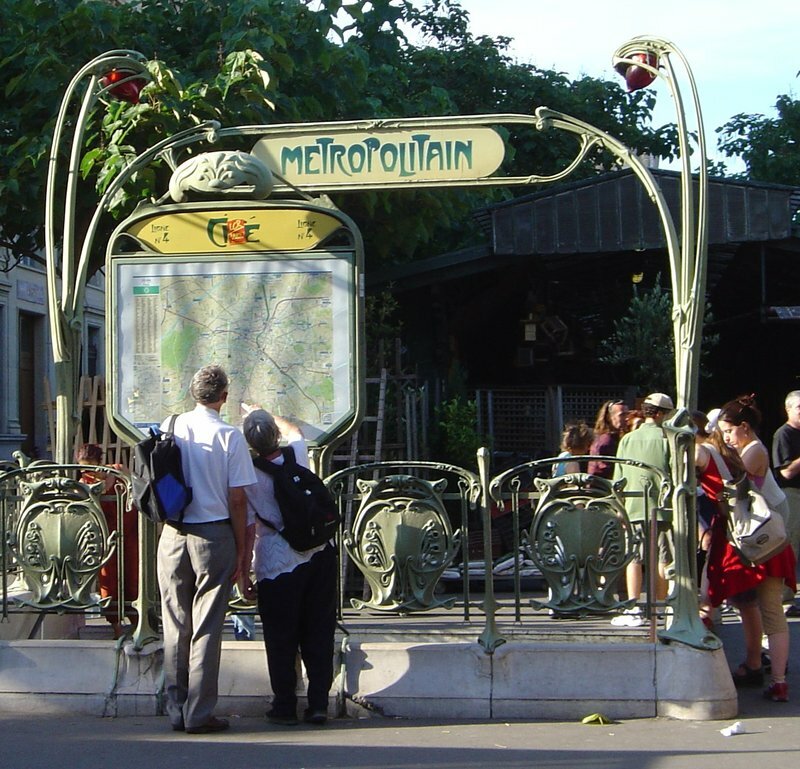 I've been lucky enough to go to Paris six times and every time, the metro is like an old friend, waiting to journey me to wherever I want to go. I love the feel of those ten slim tickets in my hand after buying a carnet. I always leave used tickets in my jacket pockets so months or years later I pull it out and think about the last time I was in Paris, on the metro. It then makes me wonder (and plan) when our next trip will be to the city of lights. 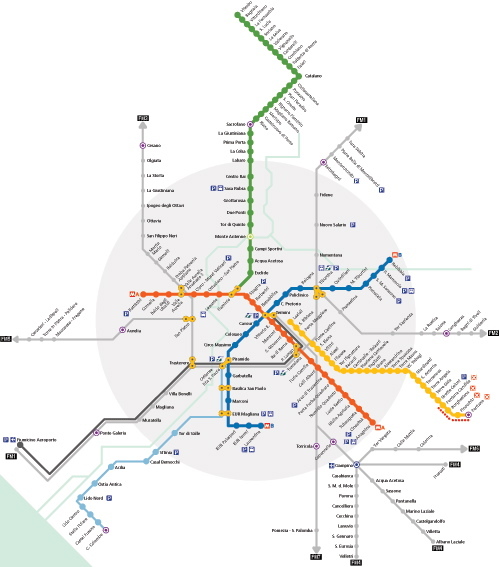 I would love to hear about other subway/mass transit experiences in other countries. I realize mine is quite "Western World-Centric." 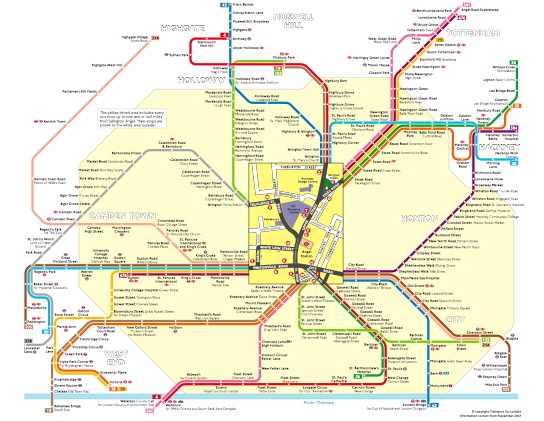 Tell me about Tokyo subways or Moscow subways or Rio De Janeiro buses or Sydney trams. Educate me. Thanks for reading, see you on the Metro.